Google has changed the way they rank content. 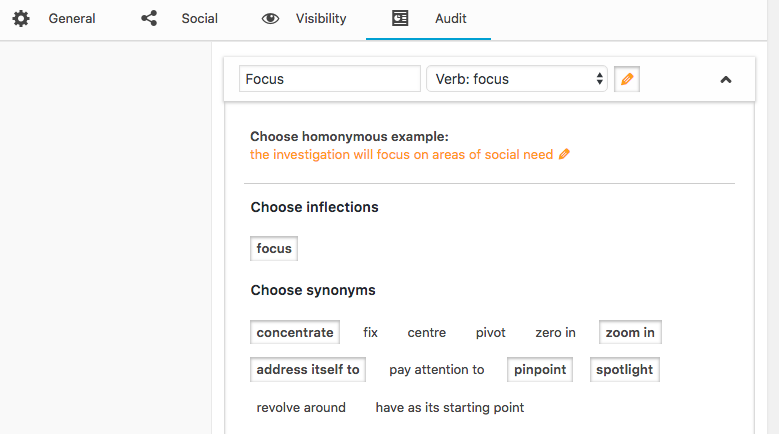 Focus, the latest extension of The SEO Framework helps copywriters and bloggers in writing text following these new standards of Google in a natural way. 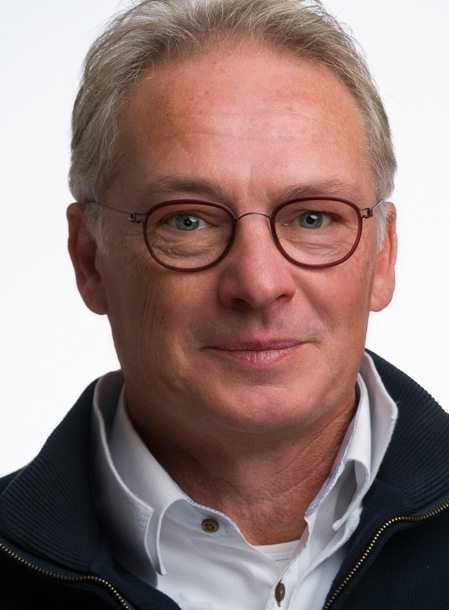 A huge chance to be top-level positioned again! SEO, in an old-fashioned way? To get a high ranking in search engines like Google and Bing, the Focus Keyword functionality of the WordPress SEO plugin by Yoast is well known and widely used. Many articles have been written about how to choose your cornerstone keywords and how to write good content. When you search on “Focus Keywords SEO”, the first 5-10 pages are overwhelmed with these topics. The world of SEO is changing! But during the past years, Google has made different changes in processing and analyzing text. To become in the spotlight, and be positioned on the first page of a Google search again, it is necessary to write targeted content based on the subject(s) you want to pay attention to. In fact, in a way an excellent writer would normally do, please correct me when I am wrong. And then, zoom in on those topics using not only the cornerstone keywords but also their inflections and their synonyms. In this way, you are writing excellent, prominent content that ranks well in search engines. Focus is the latest extension of The SEO Framework. It helps copywriters and bloggers in writing text following the new standards of Google in a natural way so that the chances to be top-level placed enhance tremendously. It helps in concentrating on the subject(s) and will find for you the inflections and synonyms of the keyword by use of an online external directory. Check the keywords and synonyms used by me. Don’t miss out: get Premium access for only $39! The SEO Framework plugin strongly helps you create better SEO value for your content and helps you do it right. It is preconfigured, providing a suitable starting point for most blogs/websites. The default settings are recommended, but you can change them if you wish. Each option is well documented, so it helps you on the spot and is easy to use. The plugin allows you to SEO every post (and page) and shows you how to improve SEO with an informative SEO bar. Furthermore, it helps your pages getting shared more beautiful through Facebook, Twitter, and other social sites. By making use of the Focus extension of The SEO Framework plugin it is an easy job to find meaningful synonyms for each individual keyword. First, enter the keyword in the Audit tab and, when available, different lexical forms for the keyword will be shown. With the context in mind, and with a bucket full of keywords and synonyms available, the sentences will flow in a natural way out of your brain. The last thing you want to think about is something like where you have to display your keywords in a forced manner. Am I wrong? As a novice blogger, I was very satisfied with the quick result when writing my text and making my points. 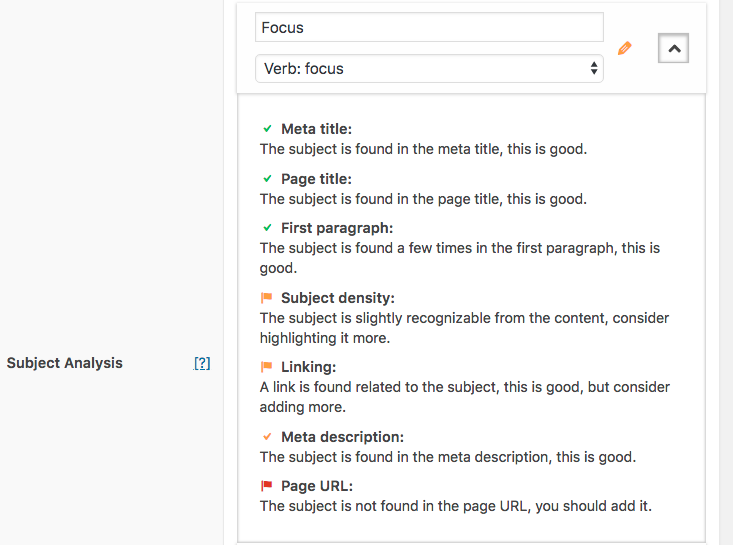 When you have written your text, the Focus extension will analyze your content and shows the results to you. So now you know where you can improve for the best SEO results. Writing my first article as a starting blogger this surely helped me, not only in getting my content at a higher level but also to improve my chances to rank high enormously. And all that within an “all in one” plugin. Only 4 days after publishing my first content, my Google Search Console presented me the first very promising results. The Focus extension of The SEO Framework plugin for sure ranks rapidly and high! But will this help only novice copywriters? Maybe it will, maybe it won’t. I’ve put a lot of effort into finding another WordPress SEO plug-in that could match or even beat the SEO Framework functionality. But I have not been able to find one. For more detailed information check the website of The SEO Framework and the special page about The Focus Extension. Within only 3 weeks after publication of the first part of my content on this page, it can be found on PAGE ONE on Bing, Yahoo, DuckDuckGo, Web crawler, Yippy, Oscobo and Dogpile, using the search string: “focus keyword SEO synonyms”. Because the whole world is focused on Google, the competition seems much stronger there. But I am very satisfied with reaching page 3 within 3 weeks and convinced that we will also get there on page 1 within a reasonable time. One of my ultimate goals was to get a blog in WordPress on the first page of the major search engines (Google and Bing) within 100 days. And that purely with the use of The SEO Framework plug-in and their Focus extension, the tips of an SEO guru and writing text in a natural way, not only with cornerstone keywords but also with their synonyms. And to do that within 20 days instead of 100 days proves that this plug-in/extension is pretty powerful and does the job.